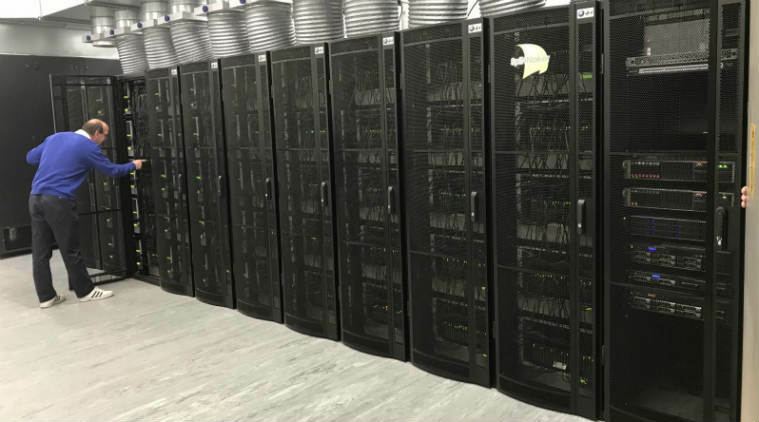 The world's largest supercomputer Spiking Neural Network Architecture (SpiNNaker) machine designed to work in the same way as human brain was switched on for the first time. It is designed and built at University of Manchester in UK. It can model more biological neurons in real time than any other machine on planet. Biological neurons are basic brain cells present in nervous system that communicate by emitting 'spikes' of pure electro-chemical energy. It is neuromorphic computing that uses large scale computer systems containing electronic circuits to mimic these spikes in a machine. It is capable of completing more than 200 million million actions per second, with each of its chips having 100 million transistors. It is unique as it mimics the massively parallel communication architecture of brain, sending billions of small amounts of information simultaneously to thousands of different destinations. It is also unique because, unlike traditional computers, it does not communicate by sending large amounts of information from point A to B via standard network. It has a massive potential for neurological breakthroughs in science such as pharmaceutical testing. It can be used to control a robot which can interpret real-time visual information and navigate towards certain objects while ignoring others. It can also help to unlock some of the secrets of how human brain works by running unprecedentedly large scale simulations. It will allow roboticists to design large scale neural networks into mobile robots so they can walk, talk and move with flexibility and low power. Q. Name the world's largest supercomputer machine designed to work in the same way as human brain that was switched on for the first time.